Yemen has spent much of the past 60 years embroiled in armed conflict and political crisis, with this cyclical instability and insecurity among the primary factors that has stymied both private sector maturation and the establishment of a strong state with well functioning public institutions. The vast majority of the Yemeni private sector is made up of small or very small businesses, even while providing almost 70 percent of working Yemenis with their livelihood. Rural agriculture has traditionally provided work for more than half the population. Since the discovery of commercially viable oil fields in the mid-1980s and the ramping up of oil production in Yemen through the 1990s, the country’s annual gross domestic product (GDP) has been heavily influenced by its oil production levels and the volatility of global energy markets. Oil exports create a “Dutch disease” situation in the country, where the foreign currency from oil sales inflated the value of the domestic currency, inhibiting the private sector’s development of export-led growth. The higher value of the Yemeni rial also made imports relatively cheaper, impeding the development of local industry. These factors combined to leave Yemen dependent on imports for most goods. There are numerous other challenges to private sector development, including bureaucratic obstructions, weak infrastructure, a largely unskilled workforce, a poor investment climate and lack of financing, an economy overly dependent on oil, corruption, a weak state, and a rent-seeking elite class with vested interests in stifling reforms. There has also been some progress in the past 25 years: some import barriers have been removed and customs tariffs simplified; reforms to business registration and the elimination of minimum capital requirements brought down the time and cost to start a business; corporate taxes were reduced significantly and harmonized; there was a marked decrease in property related disputes; the market for Islamic banking services was opened; the government established a credit registry and introduced a Microfinance Banking Law. Nevertheless, the impacts of the ongoing conflict, which began in 2014 and intensified significantly in 2015, have been devastating. Economic output has contracted a cumulative 40.5 percent since 2015. Suspended oil exports have decimated public revenues and cut off the country’s primary supply of foreign currency. The depletion of reserves and a domestic cash liquidity crisis in turn led to the Central Bank of Yemen (CBY) suspending most public sector salaries in August 2016 and ending import financing. Coupled with the relocation of the central bank headquarters from Sana’a to Aden in September 2016, this crisis hobbled the CBY’s ability to protect the value of the Yemeni rial (YR). The rial thus fell from YR 215 to US$1 at the beginning of the conflict to roughly YR 490 to US$1 as of the end of June 2018. With currency depreciation the price of imports has spiked and per-capita purchasing power has plummeted. The price of imports has also been heavily affected by a Saudi-led coalition sea blockade of (and now military operation to retake) the country’s northern ports – most significantly Hudaydah and Saleef – which has dramatically reduced commercial and humanitarian deliveries through these ports, and increased the time and cost of delivery for those imports that do get through. All of these factors have facilitated a situation today where 8.4 million Yemenis are on the edge of famine and 22 million are in need of humanitarian support, in what the United Nations has called the world’s largest humanitarian catastrophe. Increased costs for businesses have been spurred by a lack of security and a scarcity of business inputs, while a loss of customer base and demand as well as general purchasing power decline has driven a loss in revenue. Physical damage to public and private infrastructure has also severely affected the ability of businesses to operate. As of 2017 these losses associated with the conflict had let to private sector businesses on average cutting their working hours in half, with layoffs estimated at 55 percent of the workforce, while more than a quarter of private sector firms engaged in industry, trade and services have ceased to operate. Foreign currency shortages and a domestic currency liquidity crisis have also presented importers with increased challenges and costs. Even faced with these challenges, however, the Yemeni private sector is still one of the primary factors stopping the dire humanitarian crisis in Yemen from being far worse, facilitating the import of the vast majority of the country’s food and fuel. 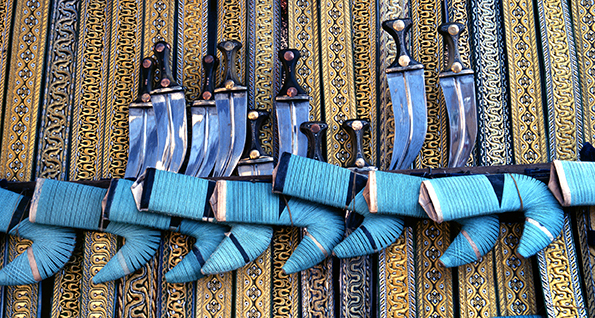 In previous studies of impact of conflict on a country’s private sector, it was found that war tends to create a power vacuum that allows space for illegal trade and the rise of a ‘war economy’, in which grey and black market actors accrue large sums of liquidity, and draw such out of the formal economy. Even once peace is achieved, doubts regarding its durability classically dissuade investments in the country, in particular investments in fixed, illiquid assets. However, without private sector development, reconstruction, rehabilitation and socio economic and social stability are highly unlikely post conflict. An incipient private sector cannot be expected to, of itself, redevelop and drive economic growth immediately after conflict resolution. 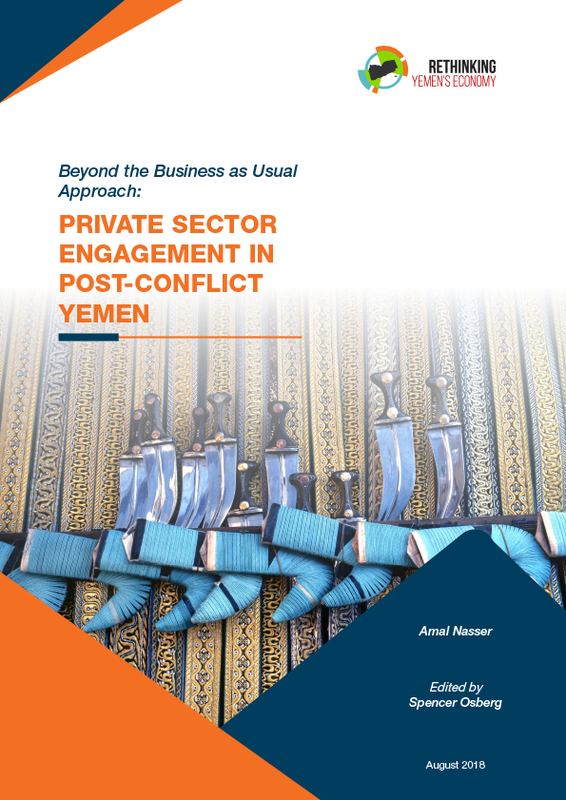 Thus, this paper makes the following recommendations to the Yemeni government and international stakeholders regarding economic interventions to spur post-conflict private sector development in Yemen. Interventions must be conflict-sensitive. Yemen’s multifaceted and prolonged conflict has weakened both the formal state and formal private sector activity, allowing the emergence of new players in a war economy. Early interventions must thus be vetted to ensure they do not empower conflict actors and potential peace spoilers, would curb development in the formal private sector and threat overall socio economic stability. International actors intervening on the ground should establish an inclusive mechanism in which local business actors are meaningfully engaged to create strong buy-in in enhancing peacebuilding and enabling appropriate business environments. Build local business capacities to implement programs and create jobs. Stakeholders should work to ensure that local businesses have the necessary tools and requisite skills to take advantage of international interventions. This should include facilitating the transfer of knowledge, specifically knowledge related the use of technology in business, through providing education and training programs for Yemen’s private sector labor force. The agriculture sector should be the target of any early intervention. Agriculture, which employed the largest portion of the Yemeni workforce prior to the conflict, has been particularly adversely impacted by the dynamics of the war in Yemen and should be the target of any early intervention to boost the economy. For instance, programs could be established to support microbusinesses in agriculture and offer training and technical assistance for farmers and those hoping to establish small-scale and self-sustaining projects. Target SMEs and entrepreneurs. Private actors should assist the government and international donors in developing joint financial mechanisms to finance small and medium enterprises (SMEs) and business incubators. These should also specifically target and assist women and youth to start businesses, given how underrepresented these groups are in private sector activities. Ensure private sector access to finance. Over the short run, the Yemeni government and all relevant stakeholders should support a full return of a functioning financial sector, including stabilizing the Central Bank of Yemen. Over the longer run, efforts should be directed to lead reforms on banking regulations and ensure an appropriate platform for foreign investors to establish banks in country, as well as for remittances influx. In this regard, the Yemeni government should establish for a mechanism for investment guarantees in order to attract the remittances of the Yemeni diaspora to contribute to country economic recovery. Yemen’s experienced microfinance institutions should be a key target of all stakeholders for driving more financial inclusion across Yemen. Microfinance banks and companies should be also empowered to offer financial services for individuals and cash management services for smaller businesses. Moreover, mobile banking in Yemen should be enhanced to expand access to low-income borrowers. Reform the business environment. The government should establish a business-friendly taxation system and anti-corruption institutions and encourage investments through easing some regulations that restrict foreign investments and discourage business startups. In particular, the government should engage with and invest in transformative sectors such as transportation, financial services, telecommunications, tourism, power production, and food processing and distribution.